About the Book: Ensign Andrew Dahl has just been assigned to the Intrepid. The posting is going well and Dahl is making friends with other new crew members. But the new crew notice something strange-the away missions always seem to end up dangerous-even the ones that seem like they should be routine. The senior staff always seem to survive these away missions, no matter how many crazy things may happen to them along the way. And there's always a low ranking officer that ends up getting killed. Something strange is going on on the Intrepid and Dahl and his friends are determined to find out what it is. 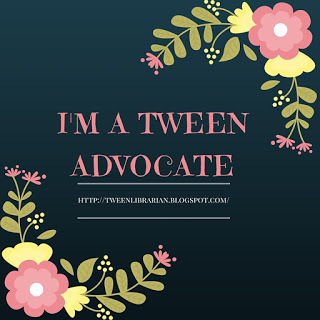 GreenBeanTeenQueen Says: Every once in awhile I manage to squeeze in some adult fiction into my reading (or listening) pile. If you know me well, then you know that I am a big Star Trek fan. And as a Star Trek fan, I understand that you must never beam down in a red shirt (lest you want to be killed on an away mission). So one I saw the title and premise of this book, I knew I had to read it! Yes, Redshirts is a very well done Star Trek, science fiction spoof. The humor is spot on. The outrageous captain who solves things just in the nick of time, the over the top adventures, and the fact that the senior crew get beat up every mission and yet continue to survive all add up to a perfect spoof that will have science fiction fans laughing. But the book is so much more than a spoof of the genre. There are many twists along the way to keep readers surprised and just when you think you've got things figured out, you discover something new. I enjoyed the plot twists and found that they added something new to what could have just been a very funny take on the science fiction genre. The best way to describe this book would be to say that it's meta-the plot becomes very self referential. I don't want to give the plot twists and surprise away, but I enjoyed the way the story ended up and how everything came about full circle. I listened to the audiobook, partly because I'm reading so much the only way I can add in anything extra is by audiobook and also partly because the narrator is Wil Wheaton. I thought this would be a good audiobook pairing and in some ways it was. Wheaton gets the humor of the book and adds a nice spin on the characters (especially the captain's more crazy moments). But he doesn't do a wide range of voices like I'm used to from my audiobooks. And at times he reads really, really, fast! This was especially confusing at the beginning when there is a lot of quick dialogue between two characters-Dahl and Duvall. Their names are so similar and add in a fast narrator without different voices and I was getting a bit lost between all the "Dahl said" and "Duvall said". I caught one soon after though and overall it was a very enjoyable listen and as the book got going I appreciated Wheaton's narration. If you enjoy science fiction (and this is light science fiction) and want an enjoyable read, give Redshirts a try. I'm so glad you reviewed this. I'm a Star Trek fan too, and also, not too long ago, I read John Scalzi's excellent Old Man's War. That one is not a takeoff- The premise is as you get old, you can get a brand-new and quite deluxe new body cooked up for you, if you're willing to join the space-going future equivalent of the Marines. Reminded me a little of Heinlein's grownup stuff, with more action and less philosophy. 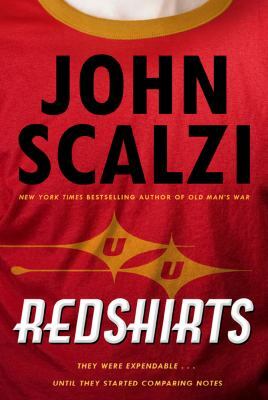 I'm looking forward to reading more books by him, including Redshirts.